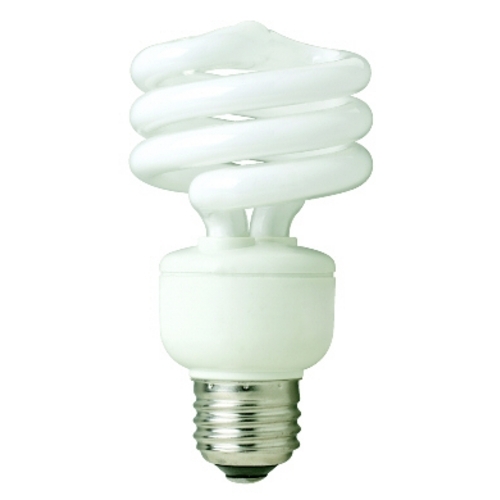 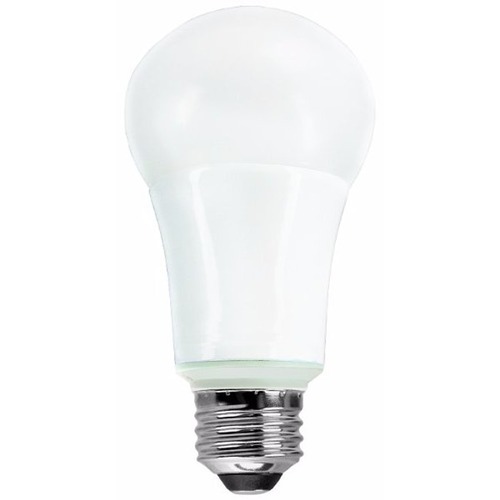 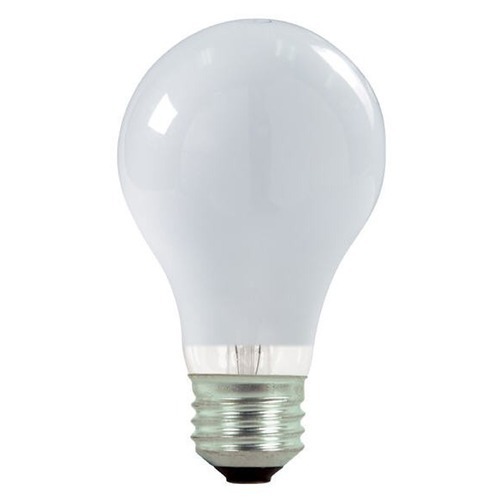 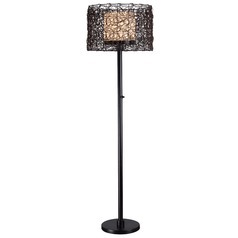 The following are detailed specifications about the Outdoor Table Lamp. 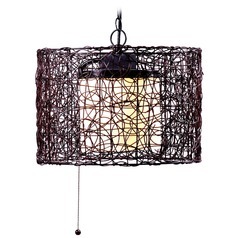 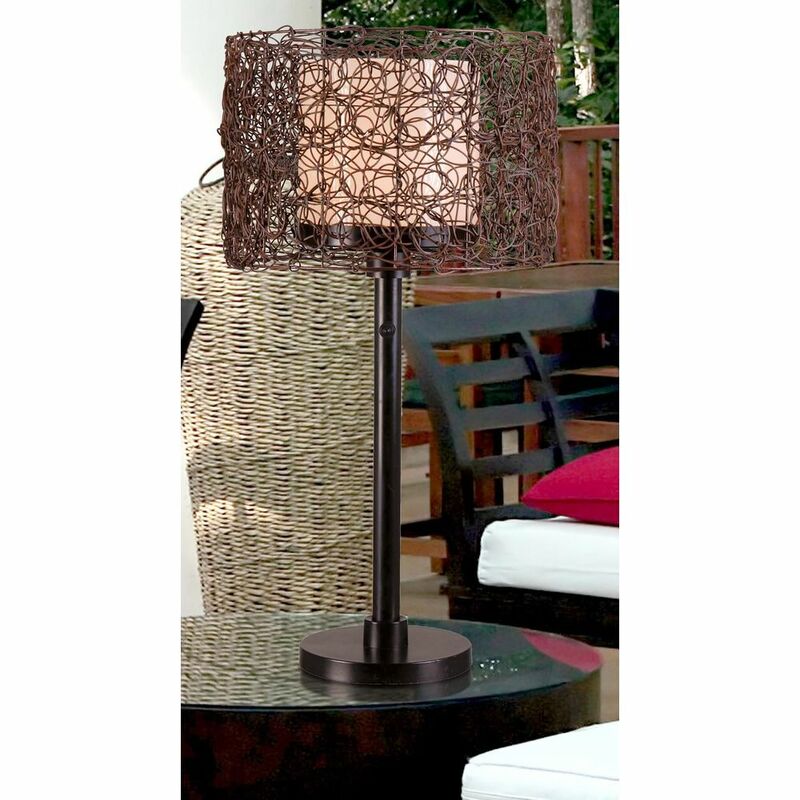 Patio outdoor table lamp in bronze finish with all-weather rattan drum lamp shade over a white glass inner shade. 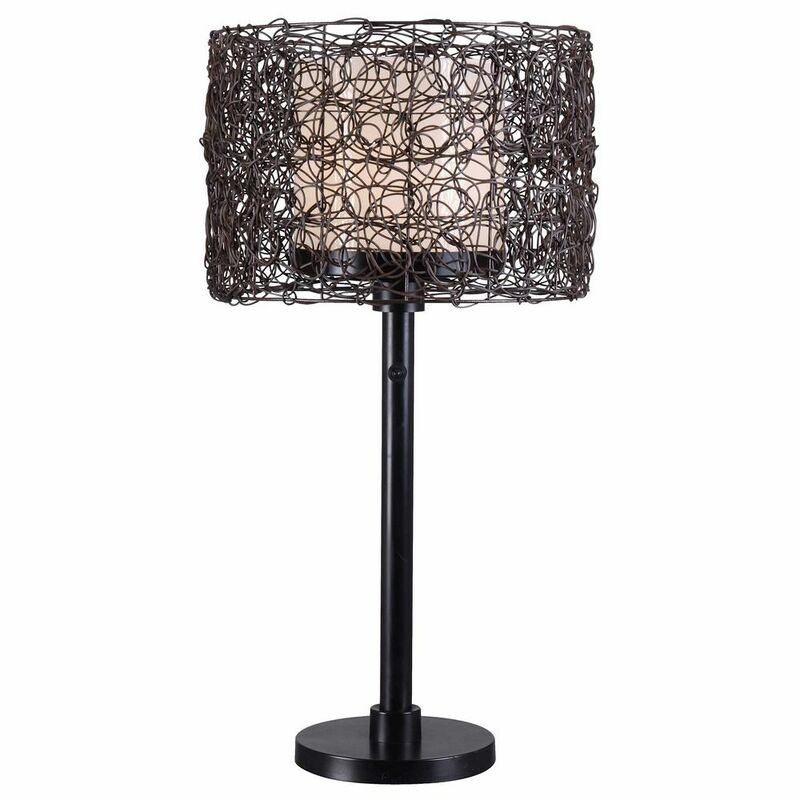 This Outdoor Table Lamp is part of the Tanglewood Collection from Kenroy Home Lighting. 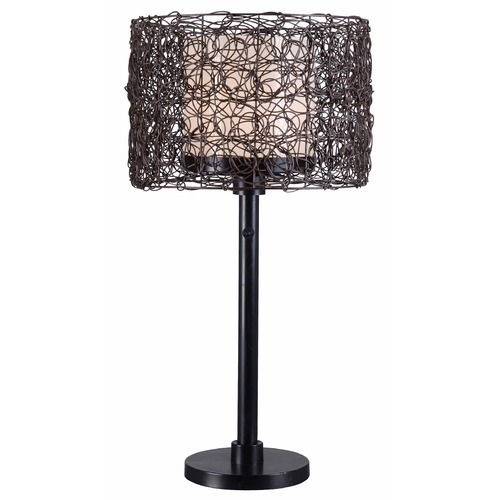 The following items are also part of the Tanglewood Collection.